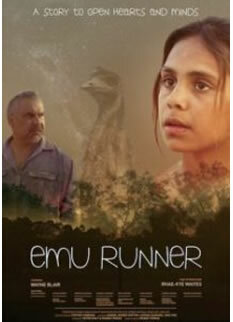 Young Gem grieving from her mother’s death seeks comfort in her ancestral lands where she encounters a wild emu, a mythical bird of her ancestors. Forming a mystical bond with the bird restores Gem but the attentions of a new and inexperienced social worker threatens her link with her family. Emu Runner is a touching magical realist portrait of an isolated community with many performances by locals of the community.